Also view our demo. Click on the YouTube logo below. Install screws on the wall at desired height and width accordingly to hanger and quilt. 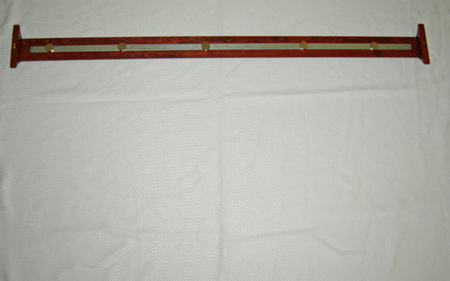 Place Easy Display Quilt Hanger on the screws to check for height and level. Remove Easy Display from the wall and follow the steps below and the attached photos. Magnets: We use Rare Earth magnets. The magnets are very strong. It is recommended to keep the magnets separate at all times. Slide the magnets apart if they come in contact with each other. Magnets are shipped attached to the metal strip on the back of the Easy Display. The magnets may either be round or square. Read magnet safety sheet. Alignment: The alignment of the quilt on the metal strip does not have to be precise, as the quilt and the magnets can be adjusted after the Easy Display is on the wall. Just reach up and behind the Easy Display to move the quilt/magnets until you are satisfied with the hanging of the quilt. Figure 1. Lay Easy Display down on a flat surface such as a bed or table with metal and magnets facing up. Figure 2. Position backside of quilt just below the Easy Display. Figures 3. 4. & 5. 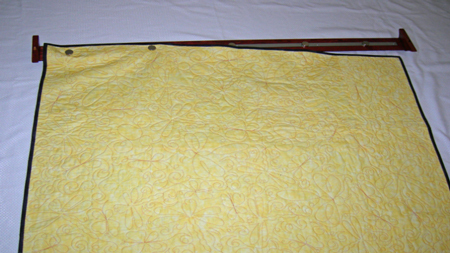 Lay the quilt on top of the metal strip. 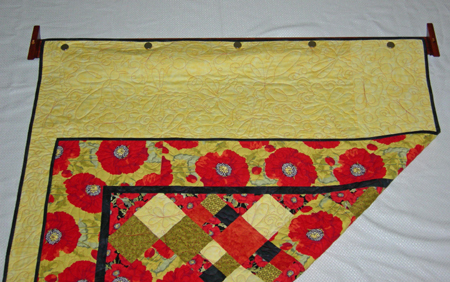 Then find each magnet and move/slide magnet onto the top of the quilt aligned with the metal strip – one at a time. Figure 6. 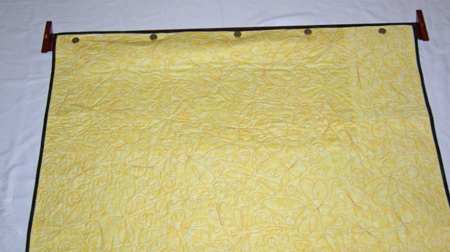 Hang quilt hanger back on the wall with quilt attached. 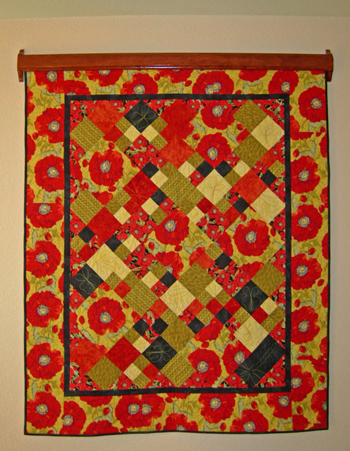 If needed – center and straighten quilt after attaching hanger to wall. 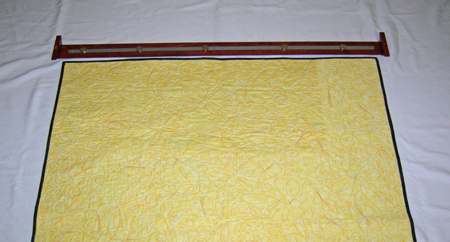 Quilt can slide with magnets attached.